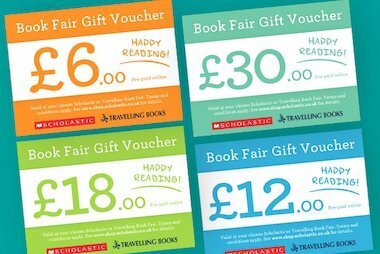 We aim to provide you with all the books you’ll need to satisfy every child at your Book Fair, but sometimes popular books sell out. What can you do to avoid disappointing the next child who arrives at the Book Fair, desperate for that book? 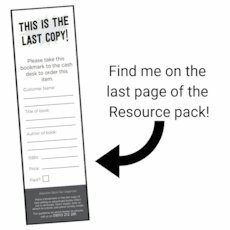 To avoid completely selling out of a book, we recommend using Last Copy Bookmarks, which can be downloaded from our website as part of The Resource Pack. Simply print them off, and place in the last copy of fast-selling or advertised books. When a child brings it to the cash desk, you can use the bookmark to make a note of the order, then return the book (with a fresh bookmark) to the bookcases, so visitors to the Book Fair know it’s still available. 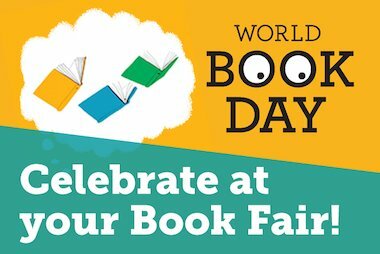 To place your order, simply ring 0800 212 281 before 4pm the day before your Book Fair is due to be collected. Don’t forget to take payment for any orders and add to your Book Fair takings before completing your Cash Report Form online. If you have any queries about ordering books at your Book Fair, give us a ring on 0800 212 281. 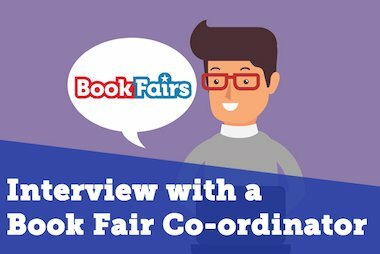 You can download a copy of the Order Form for your Book Fair on the Free Resources page of the website or click here for the Spring 19 Order Form – First Fair or Spring 19 Order Form – Second Fair. †The next day driver delivery service is not available in all areas of the UK. To confirm availability call us on 0800 212 281. Orders placed after 4pm the day before your Book Fair is collected and any books not available for delivery by driver will be dispatched by post within 5-10 working days.